We were commissioned to create attractive and up-to-date sports and leisure facilities at the Hombruch youth camp. 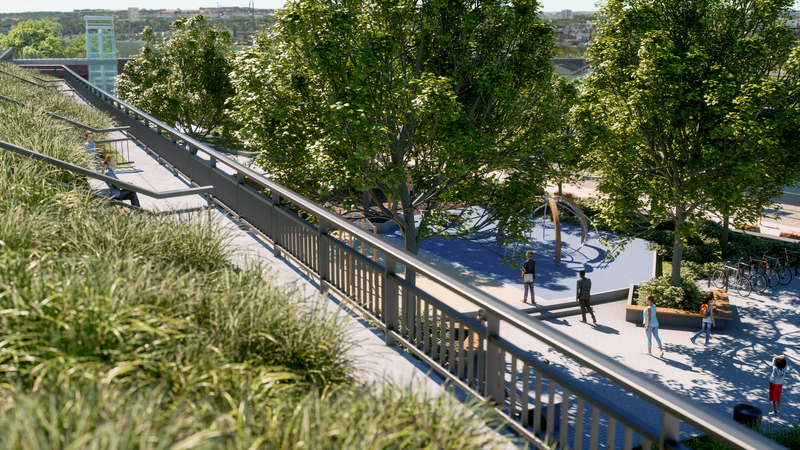 The concept provides many different areas on the multifunctional area: bowl, snakerun, slackline, football field, street area, pump track, children’s run, parkour, calisthenics park, lookout hill, barbecue area and grass court. In addition, it is important to consider all user groups in the form of different difficulty levels. The open spaces for the skating facilities will also be usable for national and international events. Start of construction is scheduled for 2021 and 2022 it should be completed. We have received some new photos of the skatepark construction in Damascus! Make yourself a picture of the progress on the site. We presented the Backyard e.V. 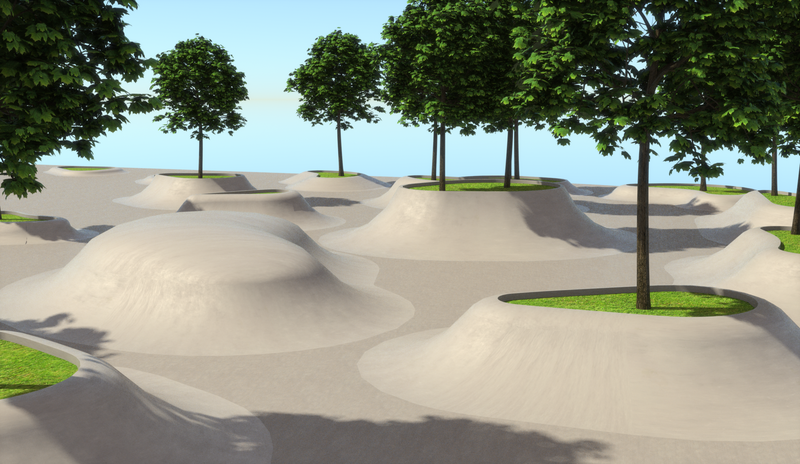 and local Skaters and BMXers of Oldenburg different designs for the new outdoor park. The planning for the final park is in full swing after the feedback! 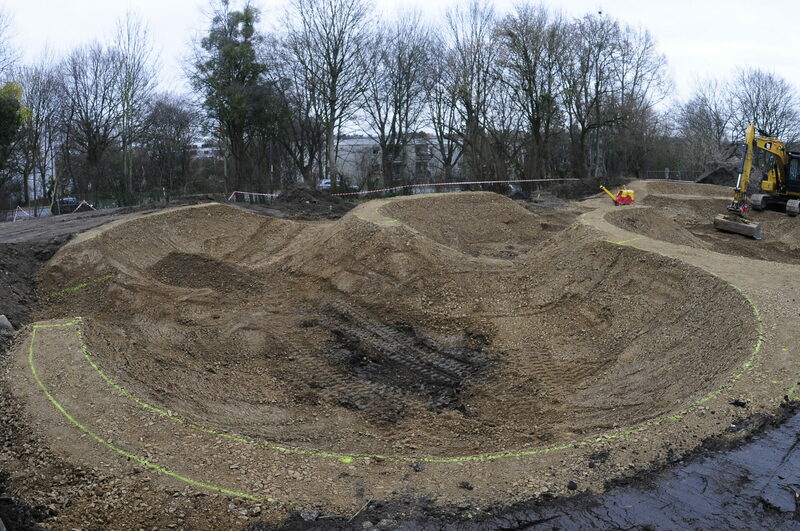 Pump track in Aachen is taking shape! It will not be long before the asphalt pump track on the grounds of the Hubertus Child and Youth Center is completed. The crew of Velosolutions do a good job on the construction site! After the first construction phase of the ice sports facility has almost been completed, we were also commissioned to plan the second construction phase. End of 2021, the complete second phase of construction with skate park, pump track, fistball fields, renaturation Lettenbach, multifunction fields and much more be completed. The crew of Camp Ramps does a good job in building the Skatepark in Ingelheim which we planned. Completion is scheduled for mid-June. For the landscape architecture office Lohaus + Carl we have created the detailed planning and the tender of the movement landscape made of concrete. 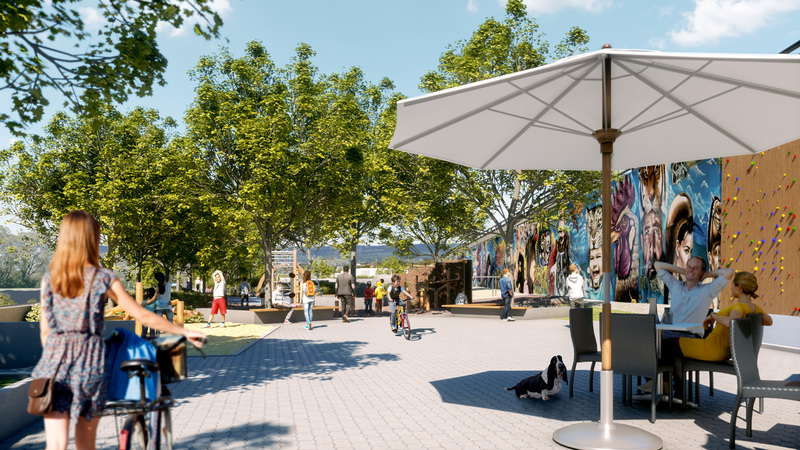 The construction of the free-formed area is due to begin in early April and the opening is scheduled for the end of June. The team of SKG will implement our planning on site. A new leisure place we originate at the Rhine promenade in Kastel! 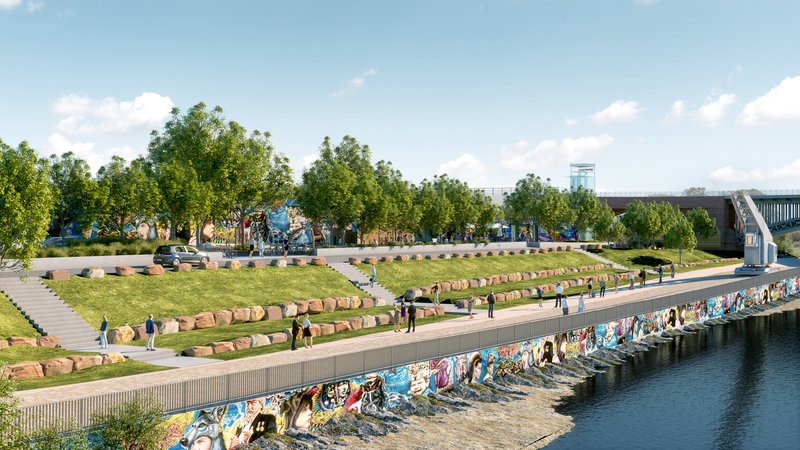 In addition to the planned skate park there will be parkour and freerunning obstacles, seating steps made of stone, a lawn, a climbing wall, a playground, a graffiti wall and many other offers to spend time next to the Rhine. The aim of the project is to create an attractive, multifunctional location for different user groups. The planned start of construction is scheduled for spring 2020. Skatepark cunstruction in Damscus has begun! 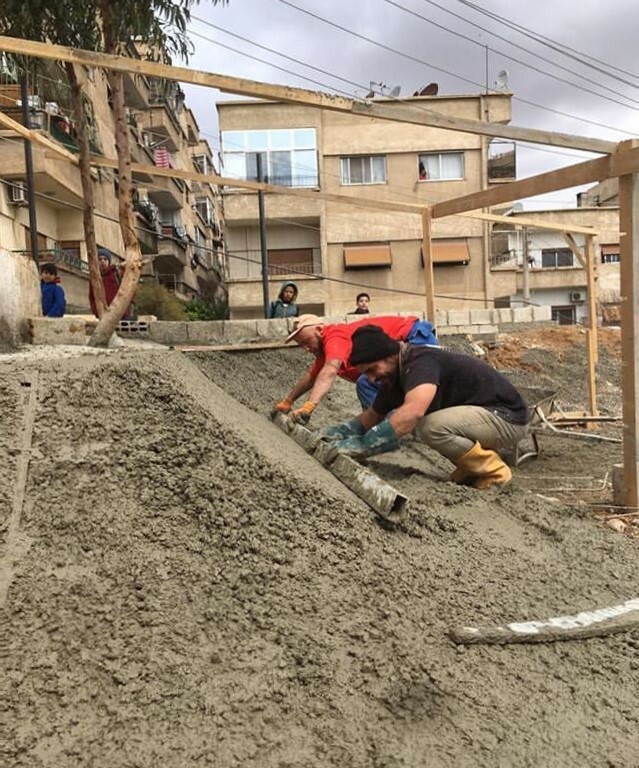 Skatepark builder Arne, Peter and Gabu and four others landed in Damascus and construction has begun! Our colleague David Welter will support the crew next week. 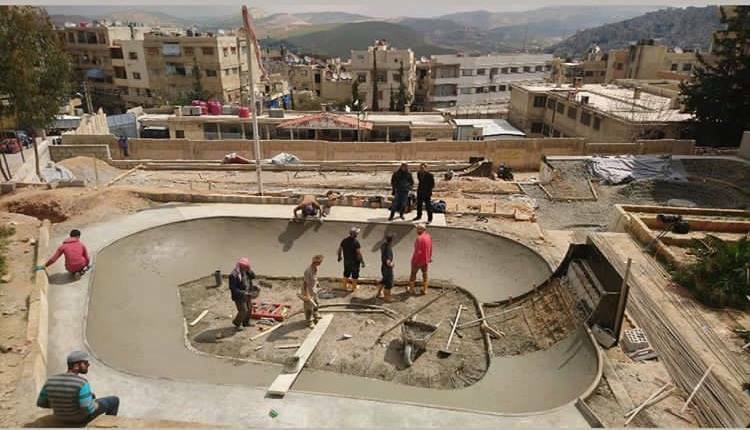 At the end of March 2019, the construction of the skatepark in Damascus, Syria begins. In cooperation with skate-aid and SOS Children’s Villages, an excisting space will be created for a skate park. 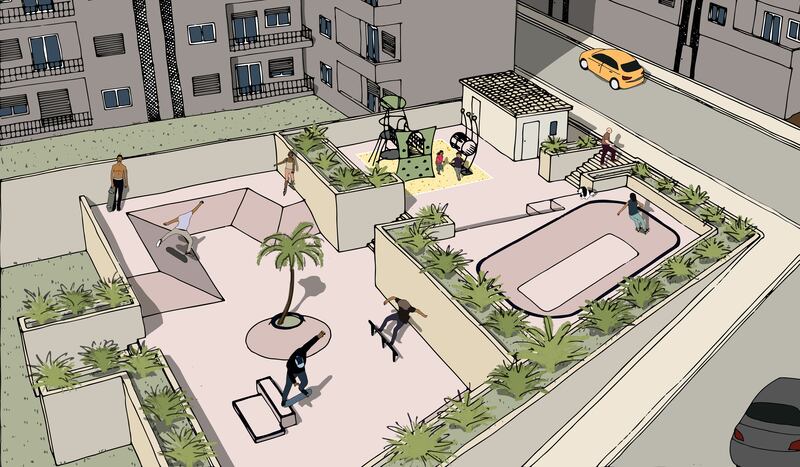 In addition to a mini ramp and street elements made of in-situ concrete, a playground with toilets will also be set up. The park is being built by the same crew that built the Skatepark Windhoek in Namibia last year (Arne, Peter, Gabu). The Betonlandschaften employee David Welter will personally built up the playground element. In addition, the square receives a new planting. Completion of the entire site is scheduled for early June. 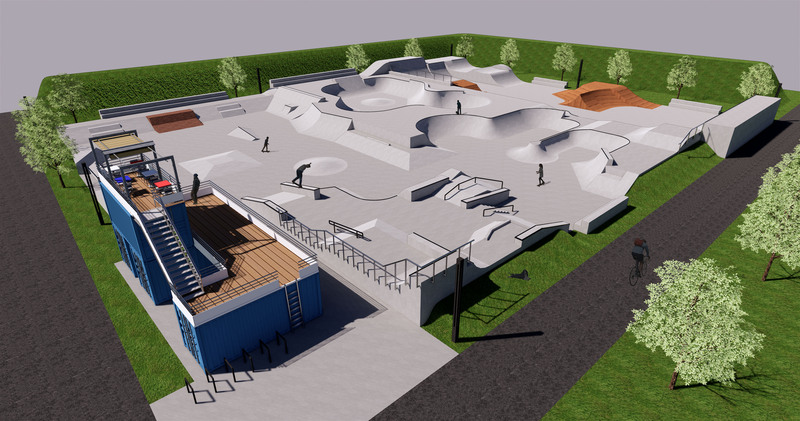 In 2020, a new outdoor skate and bike park will be built on the open space of the Backyard Bike and Skatehall in Oldenburg. The existing floor space of approximately 4000 m² is converted into a pool and street area. In addition to the in-situ concrete park, which is mainly planned for skaters, a bike park made of wooden ramps is also to be created. 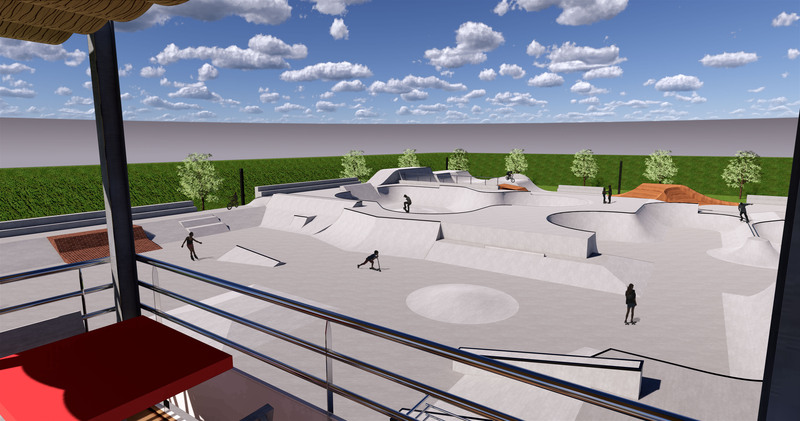 By the time the project is completed by the end of 2020, the offer for skaters and BMXers in Oldenburg will be more than satisfying. On the 3,500 m² existing club area of ​​SV Lohof, the somewhat outdated skatepark is going to be completely renovated! In addition to a bowl and streetarea of in-situ concrete, there will be a separate jumpline with wooden obstacles for the BMXers. 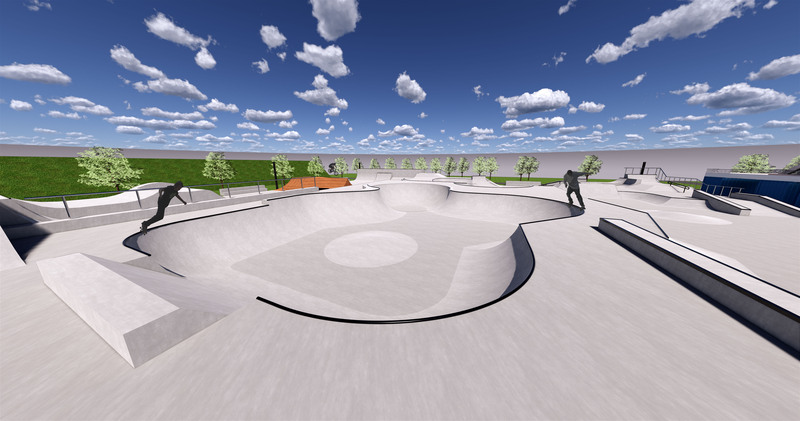 With this upgrade, there will definitely be a more versatile, more demanding and higher-quality offer for skaters and BMXers in Lohof/Unterschleißheim, which leaves nothing to be desired. 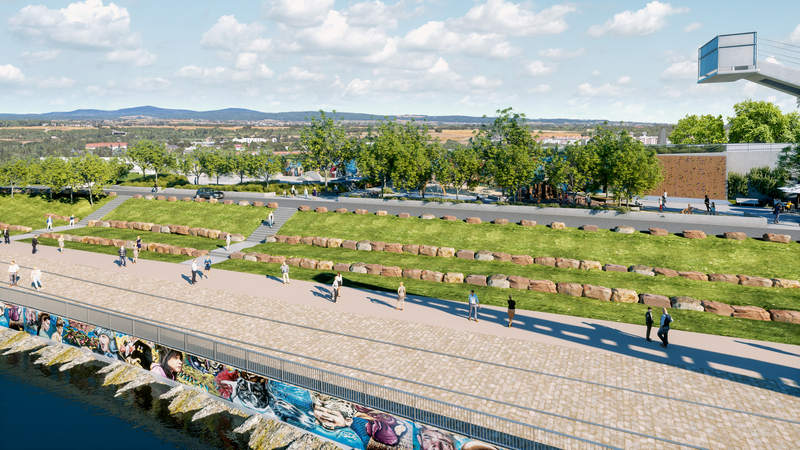 Since the planning has already been completed, the construction of the park can start in autumn 2019. At the district sports center Weidenpesch in the immediate vicinity of the Skatpark North Brigade, the first official speed skating facility in North Rhine-Westphalia is going to be built. After intense discussions with the Speedskatingclub SSC Cologne, we came to the conclusion that the course should have a linear curve superelevation. Construction is scheduled to begin in summer of 2019. 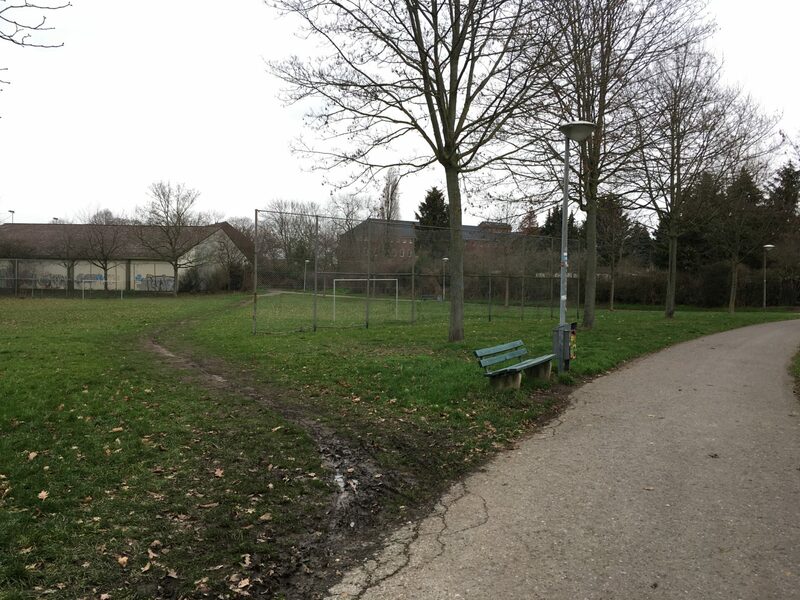 The old sports field in Rheinberg is being redesigned as part of a funding measure (LEADER). In addition to a 500 m² pumptrack made of asphalt, a climbing rock will be built there. There will be a workshop in spring of 2019 for an optimal planning tailored to the users, where the local scene can express their wishes and requirements. The construction of the facility is expected to take place in spring 2020. 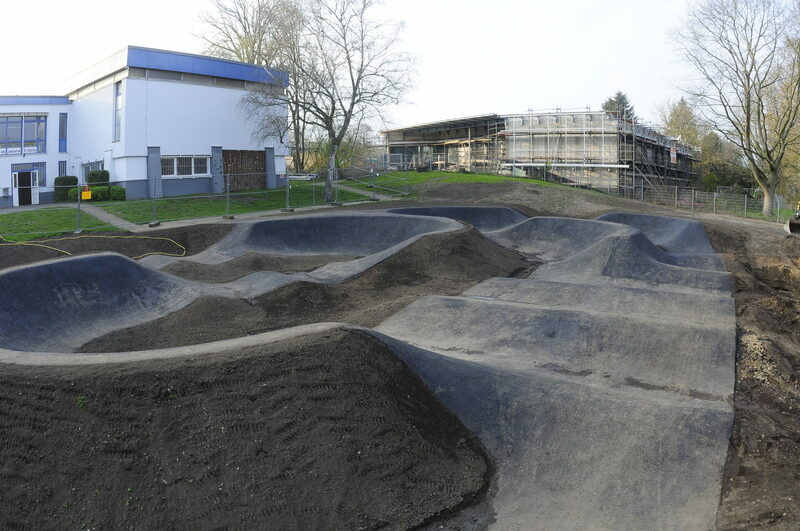 On the grounds of the St. Hubertus Children and Youth Center in Aachen, the existing earth pumptrack is being replaced by a new asphalt pumptrack. 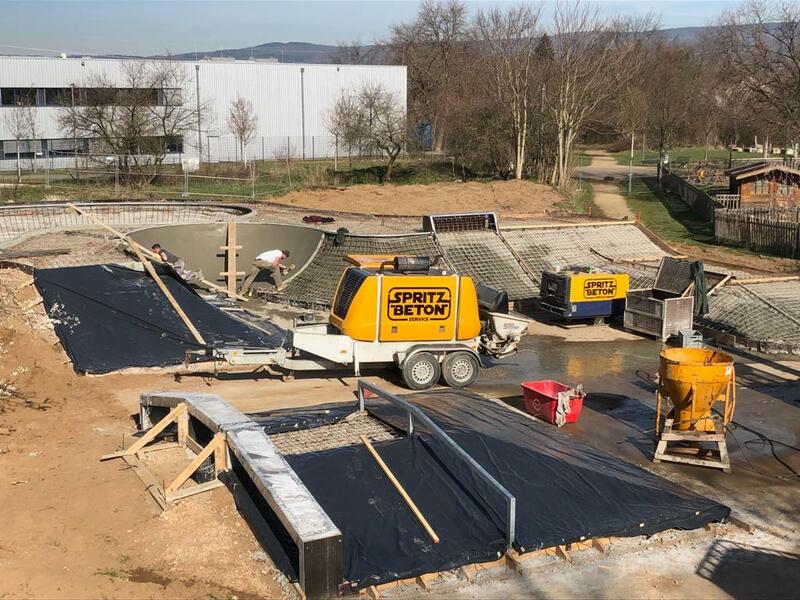 The company Velosolution from Durach has already started the work in December 2018, but had to temporarily stop the contruction due to the weather. 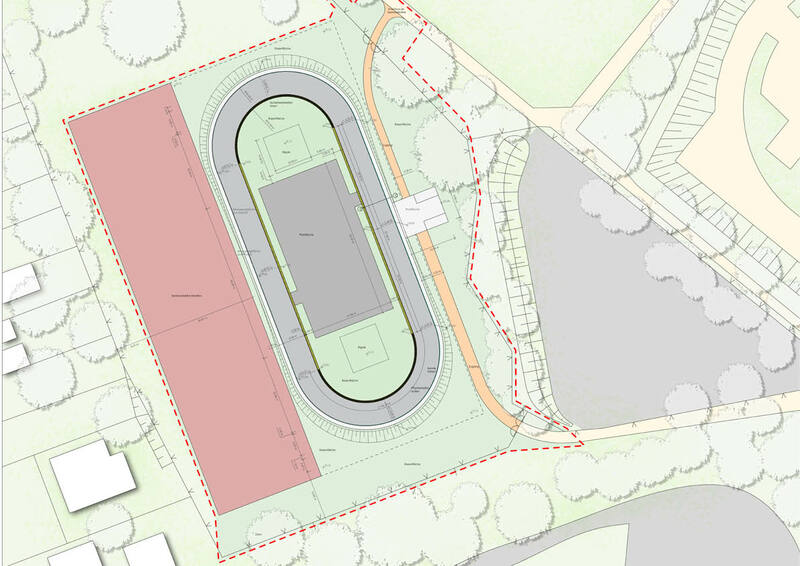 Nevertheless, the pumptrack is expected to be completed by spring 2019. 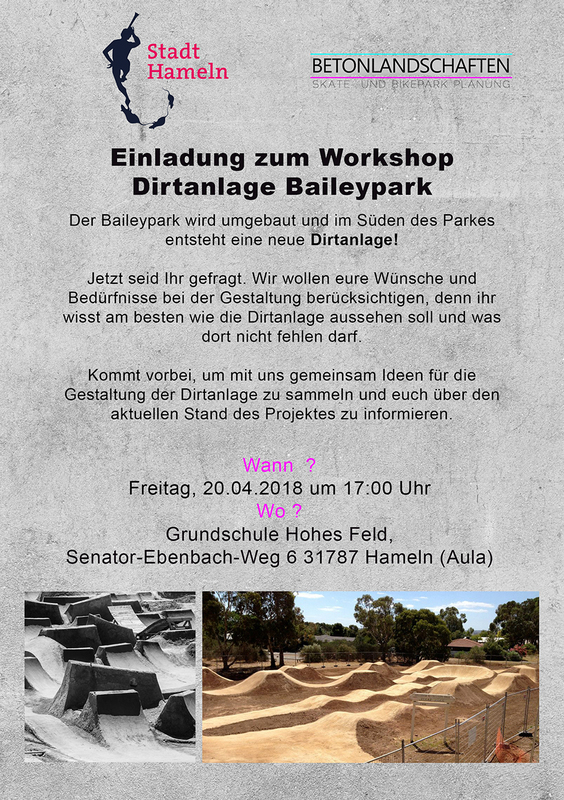 In the new Bailypark, an approximately 700m² asphalt pumptrack is going to be built for bikers from Hameln and the surrounding area. Our planning is about to be approved. If everything goes according to plan, the construction of the track will begin in autumn 2020. The old skatepark under the bridge of Länderöscherstraße will be renovated soon! 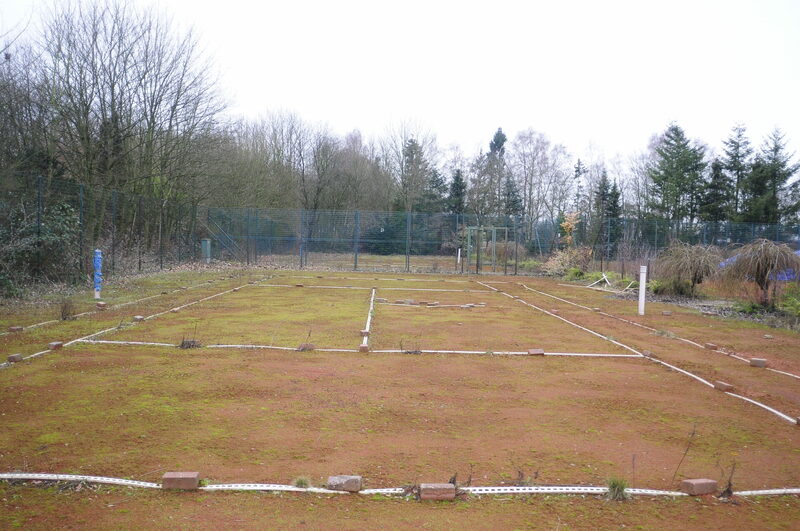 The excisting prefabricated skateramps in Friedrichshafen aren´t in a good shape anymore. That´s why they will be replaced by a brand new in-situ concrete skatepark. 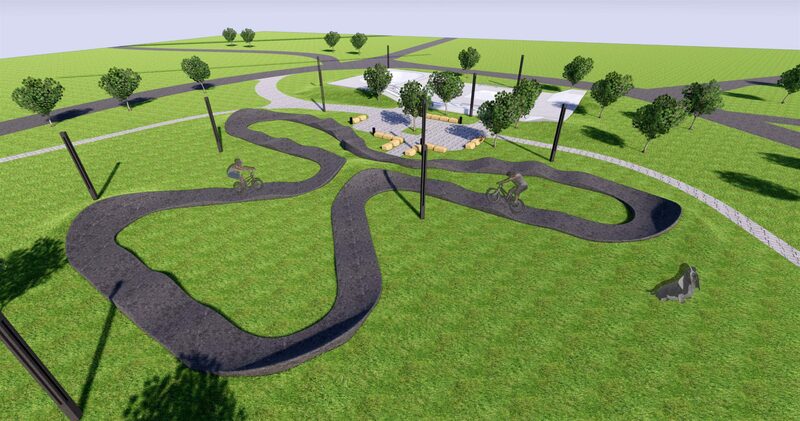 In addition, mainly for the local BMXer are steelramps with woodflooring next to the park planned. 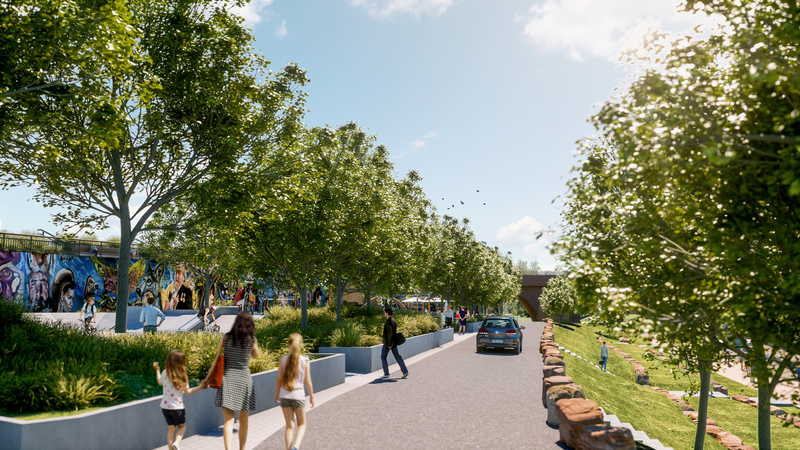 The start of the construction is scheduled for the beginning of summer 2019. Three local teenager made this project in Brunsbüttel happen! 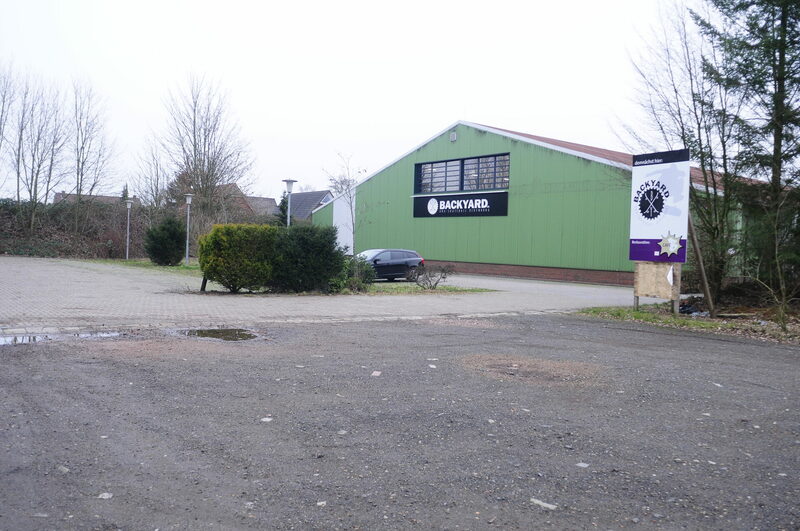 Their own initiative and engagement achieved that the skatepark with a separated pumptrack will be built in summer 2019. 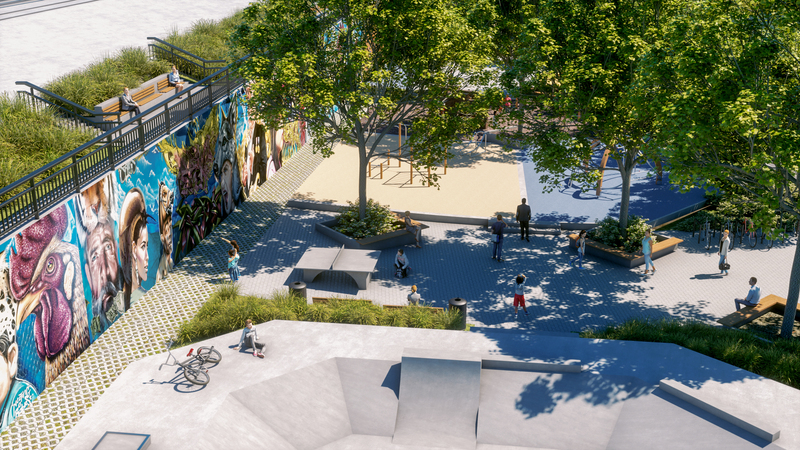 Planned is a approximately 400m² big skatepark with in-situ concrete which will have many street elements and next to it a 300m² big pumptrack made out of asphalt.